EMP!RE – Download Ones To Watch 2015 Edition! EMP!RE seem to have just drifted under the radar through their relatively short career so far, but we for one will not let them do it any longer, as they certainly deserve a lot more than what they’ve achieved so far. First off introductions are in order. EMP!RE are a five piece rock band from the south of Wales, and they really don’t do anything conventionally. This can easily lead you into one of two ways. The first way this can lead is the realm of obscurity, where you have a cult following, but never really break through the ceiling as it were. The other, and the more likely scenario for this band is the route of Royal Blood, where doing something different can get you noticed and really launch you into the spotlight, albeit Royal Blood did it in a very short and unprecedented period of time. EMP!RE are determined not to be constrained into any genre, and so can often be mis-perceived as sounding like they’ve not quite found their true sound just as yet. What you’ll actually discover from this band is something so drastically new and different that it’s impossible to categorise them. They will need to find their own unique brand of fans, instead of almost piggy backing off similar sounding acts… They really don’t like doing things the easy way. Thankfully, what this has created is something so unique, and so different, that you have to sit back and just absorb it all in. Their sound is almost a mixture of the technical guitar tones of the likes of At The Drive In, to the almost conventional sounds of Biffy Clyro. 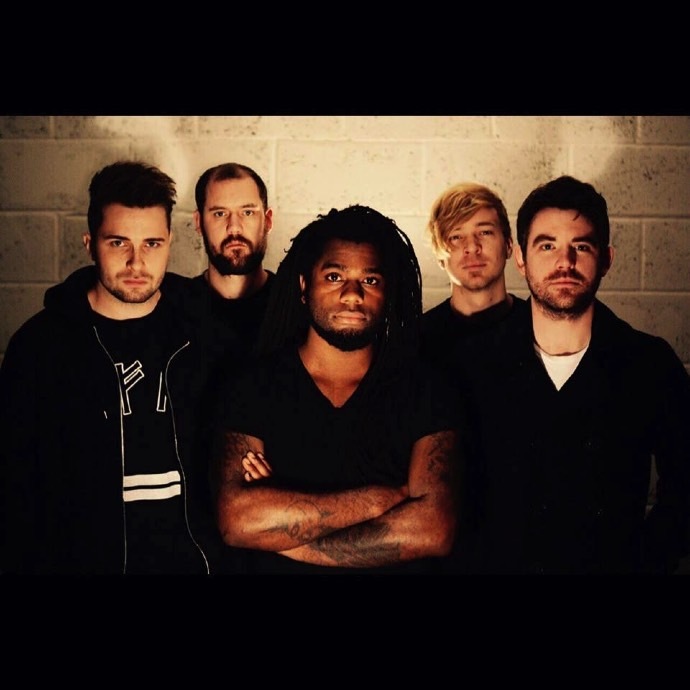 What really sets this band apart is lead vocalist’s Joe Green’s voice, bringing in almost Caribbean reggae tones with a classic rock vibe, think a more melodic Benjy Webbe of Skindred. Remember when we said this band have hid under the radar a bit? Well that is certainly what happened with their first two releases, EP Birth and mini-album Where The World Begins. Neither album really came across anyone’s immediate vision on release, and took some time before people really started noticing the band, but tracks such as ‘Future, Past & Present’, ‘Black Hearts’ and more recently ‘Patchwork and Bone’ are really starting to get people sitting up and paying attention. In reality the new EP Patchwork and Bone is a real show of what this band will be and is a cracking and original release. Ultimately EMP!RE may be a band that are still trying to refine who they are, but that can be expected from something so fresh, but they’re certainly one of those bands you will want to see now before they shoot up in fame, so you can look back at say to yourself, “I saw them when they were small”. Their live shows have been given a lot of praise, and you’ll be daft to miss fourth stage assault at this year’s Download Festival.